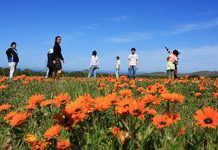 It's "flower safari" time as South Africa's West Coast National Park prepares for its annual influx of visitors, come to see the spectacular spring flower displays that take place every August and September. 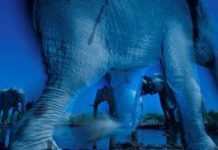 South African Greg du Toit has been named Wildlife Photographer of the Year 2013 in a prestigious competition run annually by London's Natural History Museum and BBC Worldwide for his image Essence of elephants, a mysterious and energetic portrait of African elephants. 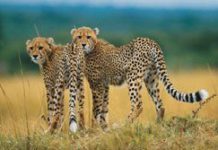 The cheetah, South Africa's second-most threatened carnivore, has returned to the country's Free State province for the first time in 100 years with the reintroduction of two male cheetahs at the Laohu Valley Reserve assisted by the Endangered Wildlife Trust. 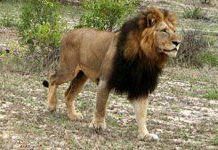 South Africa's Pilanesberg National Park is the perfect place for taking nature photos, but the lack of specific instructional material has caused many safari visitors to miss the perfect photo opportunities. A newly launched e-book more than fills the gap. 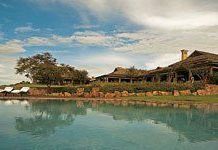 Fourteen South African hotels and resorts made it onto the prestigious Conde Nast Traveler 2013 "gold list" of the 510 best places in the world to stay, with eight of these earning "platinum circle" status for making the list for five years running. 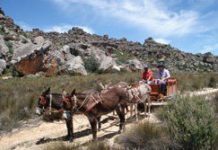 Already well loved by local and international tourists, the town of Wupperthal in the Cederberg mountains of the Western Cape now boasts a new, community-driven offering - the Cederberg Donkey Cart Route. 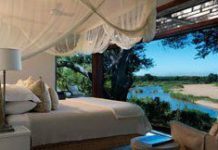 South African hospitality group Singita Game Reserves is now firmly at the top of the industry after walking off with the honours in the 2011 US Travel + Leisure World's Best Awards readers' survey. 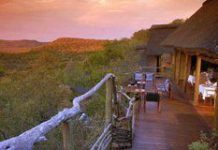 Situated in the Madikwe game reserve three hours north-west of Johannesburg, Buffalo Ridge is a luxurious lodge that can accommodate up to 16 guests - but what sets it apart from other five-star lodges is that it is wholly owned by the Balete people of Lekgophung, who live near the Botswana border. 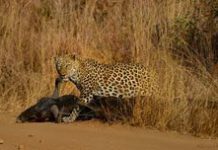 Chris Thurman visits Exeter River Lodge in the Sabi Sand private game reserve in South Africa's Mpumalanga province, and has a bush experience different to any that he's enjoyed before.